Our product range includes a wide range of unbalance motorized vibrating feeder and unbalance motorized spiral elevator. 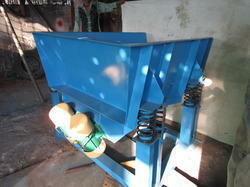 We are a reputed organization involve in manufacturing and supplying Unbalance Motorised Vibrating Feeder. 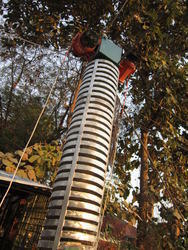 These feeders are installed with high grade motors and rollers that enable smooth and easy feeding. Widely used in different mining, metal and allied industries, these products are manufactured following the industry guidelines. It will be also supplied with vfd arrangement to control vibration from min to maxi. Liners can be provided for special application e.g. Feeding of ORE & Pellets in the Blast Furnace. Enclosed Body for feeder can be manufacture for Extracting Minerals for Storage Bins and Conveying to kilns. We are offering an excellent quality of Unbalance Motorized Spiral Elevator which are erected in diametrical position and certain angle either at the bottom or at the top of the tube.